…honor is not fitting for a fool (Proverbs 26:1). Stay clear of these guaranteed-to-backfire traps! 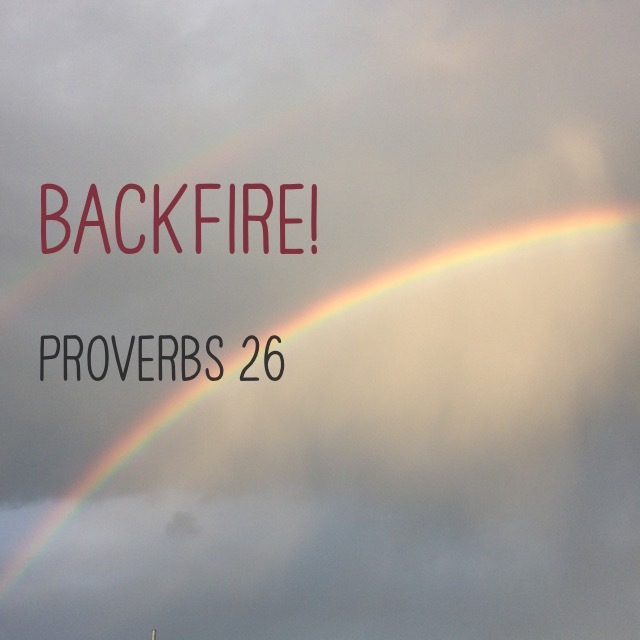 …they are deceptive food (Proverbs 23:3). Jesus said, “Stop judging by mere appearances, but instead judge correctly” (John 7:24). That means we have to look beyond the surface; we have to see things as they really are, not as we want them to be. As the Holy Spirit to show you the truth. Ask Him to show you the ultimate consequences of your activities. 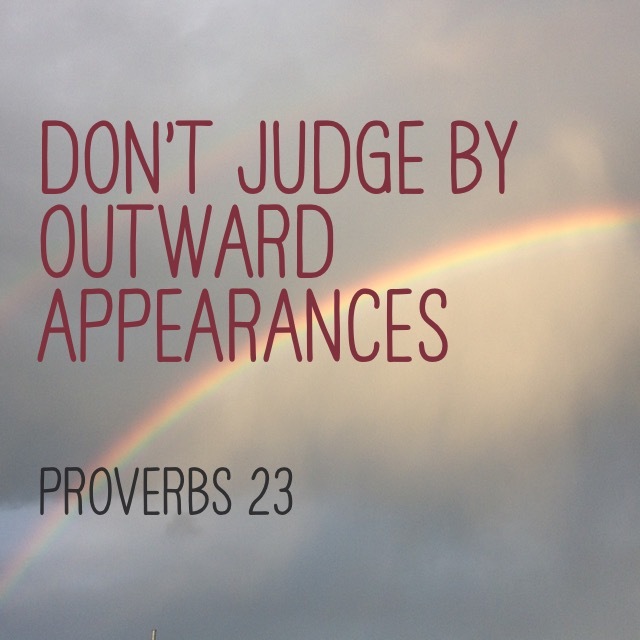 Stop judging by mere appearances, but instead judge correctly. The pride of your heart has deceived you (v. 3). Pride makes me believe the best about myself and the worst about everyone else; it’s unbalanced scales. 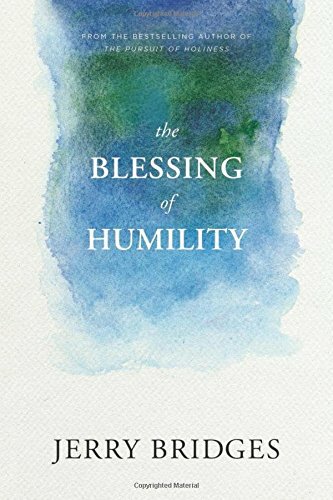 Pride allows me to excuse my sins, even calling them “virtues,” while at the same time hypocritically judging the “sins” of others. It is God’s place to judge, not mine. You should not look down on your brother in the day of his misfortune (v. 12). My place is to love God and love others—to help and not condemn—to extend mercy, not judgment. Even if my enemy stumbles I shouldn’t rejoice or gloat (Proverbs 24:17-18), how much less when it’s my brother who has stumbled! Live as if Judgment Day were tomorrow. The day of the Lord is near for all nations. As you have done, it will be done to you; your deeds will return upon your own head (v. 15). Boom! The measure I use will be the measure I receive. The One Who neither sleeps nor slumbers sees all I do, and He will judge perfectly. Don’t miss the major messages in the “minor” prophets! In 2007, Dave Kinnaman & Gabe Lyons published a book called unChristian. In it they reported the cultural view of Christians: haters, judgmental, hypocritical, too involved in politics, out of touch, insensitive, boring. Do any of these words fit Jesus? No, I’ve never heard anyone—whether in the Bible or in the history of that day—call Jesus a hypocrite, or boring, or a hater. Do any of these words fit the apostles who began to spread the message of Jesus Christ after His ascension? No! Again, I’ve never read anywhere where the early Christians were called judgmental, or too political, or out of touch. But if these labels are thrown at Christians today—Do not be surprised, my brothers, if the world hates you (1 John 3:13)—the Bible tells us how to reverse them: By living counter culture, by living according to God’s Word. In a word, by living in koinonia. This is a Greek word that isn’t used in the Gospels, but shows up just after the first Church is born on the day of Pentecost. It’s a word and a concept that simply won’t work in a pragmatic culture, but works powerfully in a biblical counter culture. The word is usually translated fellowship in English. Koinonia is how the Trinity operates (see 2 Corinthians 13:14). 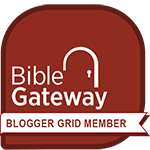 All three Persons of the Godhead are mentioned in fellowship with each other. 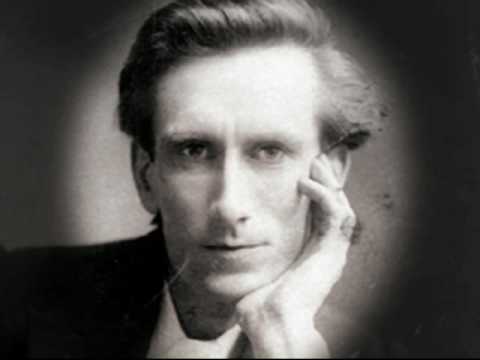 There is no rivalry in the Trinity, but if any part of it is diminished, so is its total effectiveness and glory. Christians are called to be part of a trinity of koinonia as well. 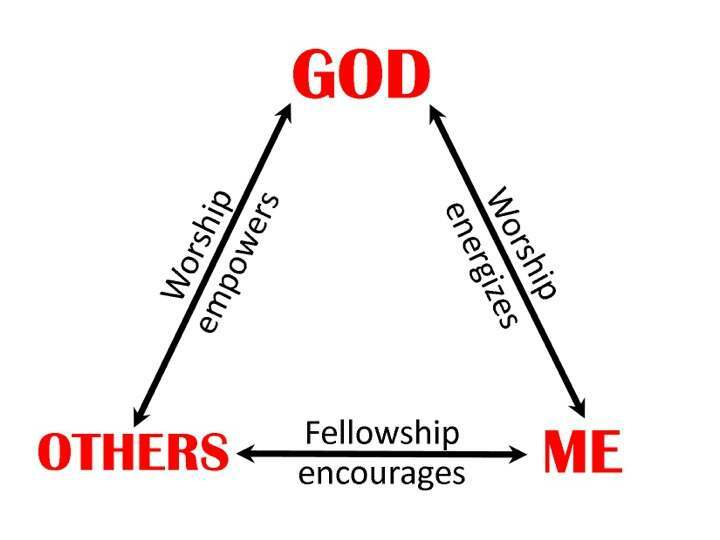 When I worship God, I am energized to be in fellowship with others. My fellowship with others that flows from my love for God empowers them to worship God for themselves. The overflow of that relationship with God encourages others to be in fellowship with me. And that fellowship energizes me to worship God even more deeply, which encourages my fellowship with others, which empowers them for deeper worship… and on and on and on it goes! 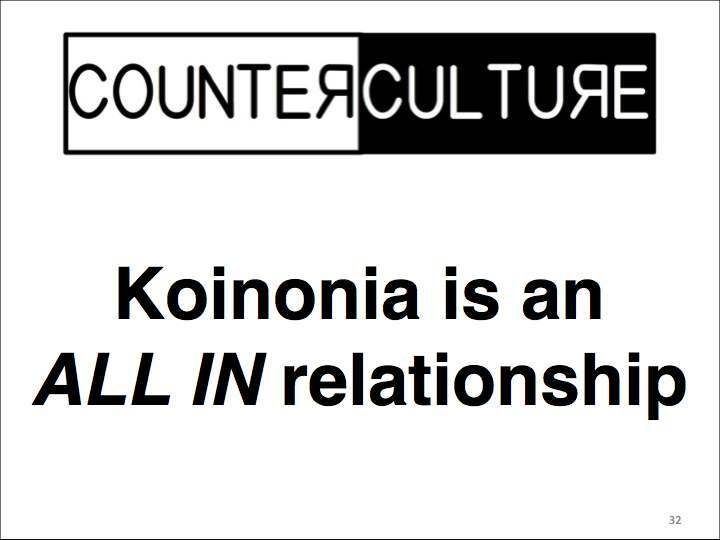 Koinonia is an ALL IN relationship. It’s not something I can dabble in, or be involved with occasionally. I’m either in koinonia, or I’m not. To see a great example, look at the Christians the very first time the word koinonia is used in Scripture. Acts 2:42-47 shows us how the Christians were not only all in (the Bible uses the word devoted), but how others in the community responded: they were in awe and viewed the Christians with favor. And as a result, lives were being changed every single day. Yes! That’s what I want to be a part of! How about you? I’m still thinking about the powerful worship time we had in our Impact youth service on Wednesday night. I can’t think of another way to describe it, except to say that it was intimate. Far too many people view God as a Judge. Make no mistake, God will judge all of humanity at the end of the age, but in the meantime Scripture portrays God as a loving Father who wants to wrap us in His arms. I love the picture in the story Jesus tells of the prodigal son: The young man who ran away from his father and squandered all of the wealth he had taken with him. When he reached the end of his rope, the wayward son turned toward home. If you were thinking of returning home after embarrassing your father and throwing away his money, would you want to return to a judge or a father? The young man did turn toward home, and his father ran to him and wrapped him in his arms! How amazing! On Wednesday night I encouraged our youth group to simply stretch their arms out toward their Heavenly Father and feel Him wrap them in His arms. It was so special to see tear-streaked cheeks and outstretched arms in the loving embrace of a God who loves anyone who turns to Him. Awesome! If you’ve blown it … if you feel distant from God … if you feel like you’ve let Him down … if you feel like you’ve embarrassed Him … see Him as a Father who is longing for you to return to Him. He will not judge you, but He will wrap you in His arms and make everything new. If you wait until your life here is over without ever turning to God, then you will have to face God the Judge. Don’t wait! Embrace God your Father today.